If you need a new or replacement smoke alarm for your home, our research found that First Alert and Kidde models rate best among experts and owners. 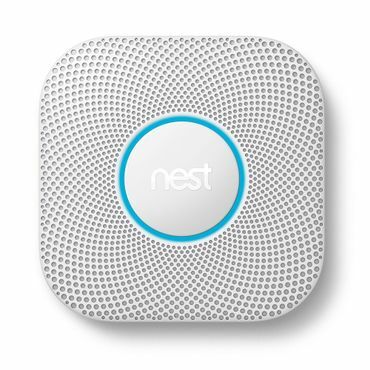 If you are riding the smart home wave, the second generation Nest Protect is our call as the best smart smoke and CO alarm. 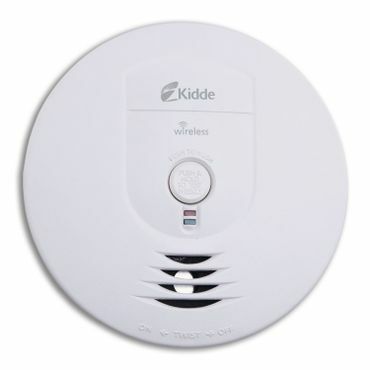 If you're looking for an interconnected, ionization-sensor smoke alarm system, the Kidde RF-SM-DC won't disappoint. If one smoke alarm is triggered, all the connected Kidde smoke detectors installed in your home will sound -- possibly alerting you faster to a fire situation. It is battery powered and uses wireless connectivity, so installation is easy, without the bother and expense of setting up a hard-wired, interconnected system. It's ideal for locations where a blazing flame is most likely -- such as a kitchen -- but slower to respond to slow, smoldering fires. The First Alert SA511B -- also available in a twin pack as the First Alert SA511CN2-3ST (Est. $70) -- is a photoelectric smoke detector -- the type that testing proves is most effective in warning of slow smoldering fires that originate in upholstery and bedding, and that are most likely to occur at night. It is also wirelessly interconnectable with other compatible First Alert alarms, making it easy to set up a network of smoke detectors that will all sound if any are triggered -- and without the mess and expense of opening walls and running wires throughout your house. 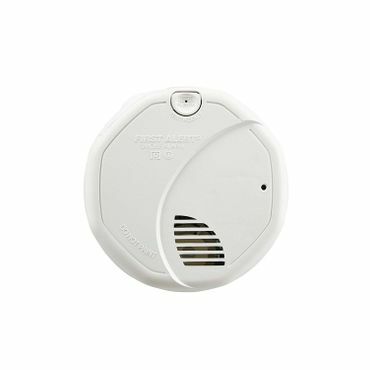 The First Alert 3120B is a dual-sensor smoke detector that's effective in sounding a prompt alert regardless of whether you are dealing with a smoldering fire or a flaming blaze. It can be interconnected with other smoke detectors to warn residents throughout the house even if the fire is in an unoccupied or remote part of your home. It's hardwired, so that you are protected without worrying about batteries petering out, but that also means that installation is messier and more costly than with battery powered units. 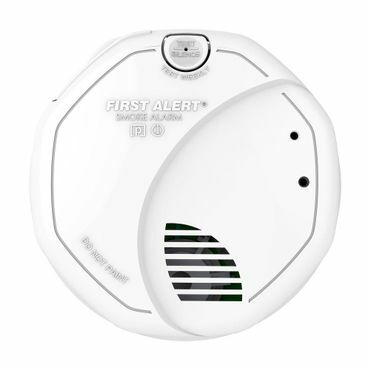 The First Alert SA320CN is a dual-sensor smoke detector that runs on batteries. It's easy to install, but can't be connected to other smoke alarms. It uses both ionization and photoelectric technology, and experts say you need both of those for detection of all types of common household fires. An easy-to-use test and silence button lets you know the unit is working and allows you to quickly silence the 85-decibel alarm if it goes off unnecessarily. If you need both smoke and CO alarms, especially for a bedroom, the First Alert SCO501CN-3ST is a practical and cost-effective choice. It provides protection from smoky fires as well as dangerous CO, but is not as effective detecting blazing fires. 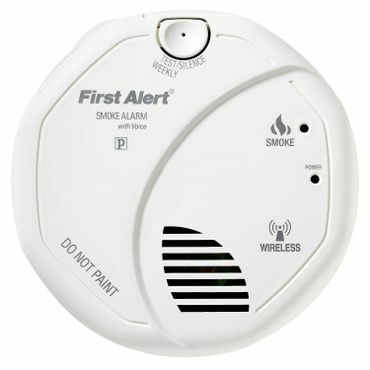 It's completely battery powered and will wirelessly connect to other compatible First Alert smoke, CO or combination alarms to alert you to danger in any part of your home. It features a voice alert in addition to a standard horn. Though it had a rocky debut, the current (2nd) generation Nest Protect now garners strong expert and user reviews. It has a split-spectrum photoelectric sensor that's effective in spotting smoldering fires and that's said to also be effective in detecting fast burning ones. The "killer" feature, though, is its ability to connect to the Internet to warn you of situations while you are away from home, and the associated app is well regarded. It is available in battery powered and hardwired versions. The statistics are sobering and tragic: Three out of five home fire deaths occur in cases where there were either no smoke alarms or that had smoke alarms that failed to work, reports the National Fire Protection Association. In addition, just having working smoke alarms cuts your chances of dying in a home fire in half. This report focuses on smoke detectors, zeroing in on top performers according to expert and owner reviews. We will also delve into the different types of smoke detectors, where they are most effective, and how to install and maintain your smoke detectors so they deliver of the maximum possible warning in case a fire erupts. This type of smoke detector is best at detecting fast, flaming fires -- such as those fueled by paper or flammable liquids. Typically used in and near kitchens, ionization smoke detectors are the most common type of smoke detector in U.S. homes. Photoelectric smoke detectors are the most effective type when it comes to detecting slow, smoldering fires. These fires are often started by weak heat sources, such as an unextinguished cigarette in upholstered furniture, bedding, drapery, etc. However, they are less effective than ionization smoke detectors in detecting open flames. These smoke detectors have both ionization and photoelectric sensors and are effective in detecting all types of common fires. One major reviewer only recommends dual sensor detectors, though some other experts say that having separate ionization and photoelectric detectors is are a better alternative. Some smoke detectors also include sensors to detect carbon monoxide. They are pricier than detectors for smoke only, but can be cheaper than buying separate units for CO and smoke. If you are interested in a stand-alone carbon monoxide detector only, those are covered in their own report. These alarms connect to the Internet to allow remote notifications of smoke, CO and potentially other conditions while you are away from your home. They also allow you to control your smoke and CO detectors via a mobile device to, among other things, silence nuisance alarms. Experts say that to be fully protected against all types of fires you need ionization, photoelectric and/or dual-sensor smoke alarms placed in strategic locations throughout your home. Both types of smoke detectors can either be battery operated or be hard wired to your home's electrical system. Battery-operated smoke detectors are the easiest to install. With traditional battery-operated smoke alarms, you need to be extra diligent in testing the batteries and replacing any that are weak to ensure that the smoke detector will operate in the event of a fire. However, new regulations in several states have given rise to a new breed of smoke detector with a sealed lithium-ion battery that can't be replaced or removed, but is rated to last for 10 years. When the battery finally peters out, you need to replace the entire unit. Hard-wired smoke detectors require a more involved installation, and many authorities recommend that it be done by a licensed professional who is familiar with electrical and fire safety codes. The major advantage of hard-wired smoke detectors is that they are more likely to be operational in case of an emergency -- except in those cases where there has been a power outage or the power has been turned off for any other reason. To counter any possibility of that happening, hard-wired smoke detectors have battery backups. However, as with traditional battery-operated smoke detectors, homeowners need to be diligent in making sure that the backup battery is both installed and fresh so that the smoke detector won't fail you when you need it most. Smoke detectors can be interconnected or stand-alone. Interconnected smoke detectors add an additional measure of safety as all will sound when any individual smoke detector is activated. That can save precious minutes in the case of a fire in an unoccupied part of the house -- for example, a basement fire while all members of the household are asleep in upstairs bedrooms. The most common type of interconnected smoke detector is hard wired, but it is also the most costly and complicated to install since an electrical connection needs to be run between all of the smoke detectors on the same loop. Most who opt for hard-wired interconnected smoke detectors do so when, as part of a major remodeling project or during new construction, interior walls and ceilings have either been taken down or have not yet been installed. Wireless interconnected smoke detectors are now also available. These can be hard-wired, battery-operated, or a combination of both. Each wireless smoke detector acts as a node in a mesh network, relaying signals to provide complete coverage in your home. Both Kidde and First Alert -- the two major providers of smoke detectors in the U.S. -- offer hard-wired wireless smoke detectors that can act as a bridge, merging an older hard-wired interconnected smoke detector network with a new, wireless interconnected network. In that way, when any one smoke detector in either network sounds, every smoke detector in both networks will as well. Buying a smoke detector puts you a good way toward preserving the lives of you and your loved ones should a fire break out. However, to get the benefit of the protection that smoke alarms can deliver, they need to be installed properly and maintained regularly. Fires can spring up without notice and spread with surprising speed. That's why regulations and common sense dictate that smoke alarms be installed near likely points of ignition, and in any area where people are likely to be sleeping. The National Fire Protection Association (NFPA) recommends installing smoke detectors on every level of your home, including the basement. Ceiling mounting is recommended; wall mounting is acceptable, but the smoke detector should be placed so that there's no more than a foot of clearance between the top of the alarm and the ceiling. On floors where there are sleeping areas, install a smoke detector in each bedroom, as well as outside in a common area, such as a hallway. On floors without bedrooms, install one smoke detector in a common area such as a living room, near the stairs to the next level, or in both locations. In a basement, install a smoke detector on the ceiling near the bottom of the stairs to the first floor. You'll want a smoke alarm in a kitchen, of course, but far enough from cooking appliances to keep false alarms to a minimum -- at least 10 feet away is the NFPA's guidance. Also keep smoke detectors away from windows, doors or ducts as drafts can delay fire detection. And, while smoke detectors don't always blend in with your sense of style or décor, avoid painting them or decorating them in any other way. According to the experts at the U.S. Fire Administration, which is part of FEMA, "A smoke alarm with a dead or missing battery is the same as having no smoke alarm at all." The good news is that performing regular testing and maintenance of your smoke detector is quick and easy. Experts say that every smoke alarm should be tested once a month. Batteries, including back up batteries in AC-powered smoke detectors, should be replaced annually; one common recommendation is to use the changing of the clocks to Standard or Daylight Savings time as a reminder to change smoke detector batteries. One exception is smoke detectors with lithium-ion or other long-life batteries that are not user replaceable. These smoke detectors are now mandatory in several states and some cities; Kidde provides an interactive map that shows those laws by state. Such smoke detectors should still be checked monthly, but once the batteries fail, the entire smoke detector needs to be replaced. Regardless of power source, all smoke detectors should be replaced every 10 years or if it fails to sound when tested. Smoke detectors need to be kept clean. Don't use water or cleaners, but a gentle vacuuming once a month will go a long way toward maintaining peak operation under most circumstances. Don't ignore low-battery warnings. At the first sound of the distinctive chirping, replace batteries right away. If a low battery warning continues to sound after fresh batteries are installed, make sure those batteries are seated properly. Also, the NFPA recommends strictly following manufacturer recommendations on replacement batteries, including model and brand. "The smoke alarm may not work properly if a different kind of battery is used," the association says. False alarms are, of course, an issue with nearly every smoke alarm -- and can be easily triggered by non-emergency situations such as cooking or taking a steamy shower. The last thing you should do is silence the alarm by disabling the unit or removing the battery -- that can be "a deadly mistake," the U.S. Fire Administration advises. Instead, push the "silence" or "hush" button that is found on most smoke detectors, then open doors and windows to clear the air. You can help things along by waving a towel to move the smoke/steam away from the smoke detector, or move the smoke detector away from the kitchen or bathroom for a short time. 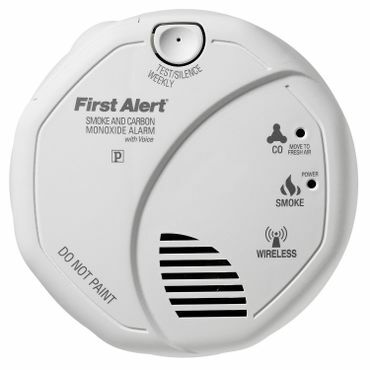 "Smoke & Carbon Monoxide Detectors"
The best smoke detectors are reliable, durable and easy to use. Ideally, you want a smoke detector that will alert you fast enough for you and your family to safely escape your home. Beyond reliability, we look for smoke detectors that are easy to install, test and silence in the case of a false alarm. To determine the best smoke detectors, we consulted testing-based reviews conducted by consumer testing organizations, including Consumer Reports. Technology sites, such as CNET, as well as some general review sites, such as Wirecutter and Reviewed, weigh in with testing and information on the latest generation "smart" smoke detectors. We also evaluated owner-written reviews on sites including Amazon, Lowe's and Home Depot.